Halflings love food. They are constantly talking about food, thinking about food and of course obtaining food! Their obsession for food has grown into a sport and every year halflings from across the land gather to celebrate with a fabulous feast and take part in a now legendary eating competition! 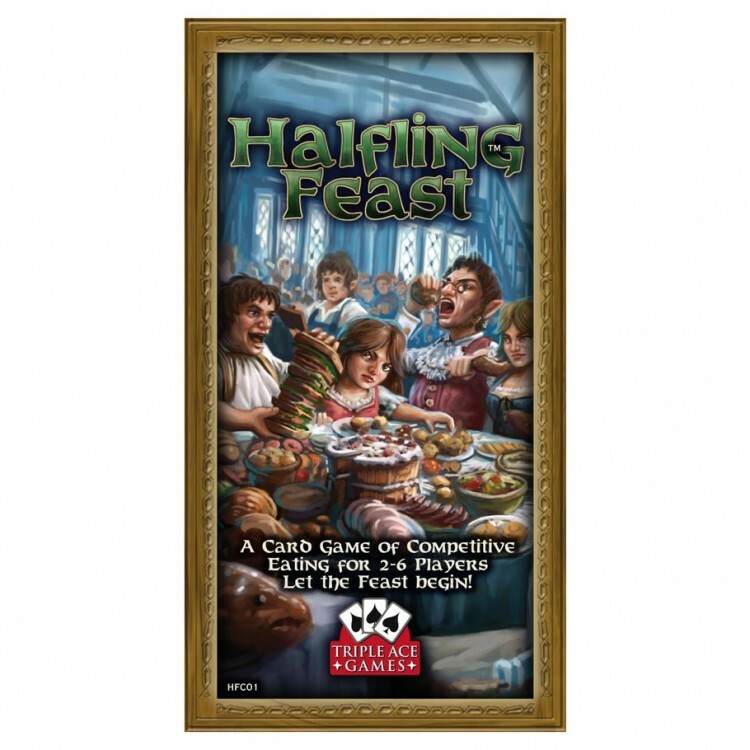 Halfling Feast is a non-collectible card game for 2-6 players. Each player represents a champion halfling eater with a mission to eat as many dishes as possible. The player with the most points and dishes at the end wins the Halfling Feast!